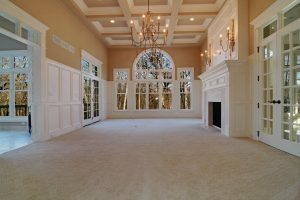 Windows – Kirsch Millwork Builders Supply Inc.
Is your home or place of business in need of an upgrade to improve its appearance? Many people find that putting in new windows is an excellent way to give a building a fresh look. The window experts on staff at Kirsch Millwork have years of experience helping customers find the right window for their particular needs. We regularly work with architects, designers, builders and homeowner who need new windows. You may be in the market for a replacement window for one that was broken by accident, vandalism or a severe storm. Or you simply are looking for a new window so you can admit more light into your home or business. We carry a wide array of windows from the top manufacturers, so you will have plenty of choices to search for and browse. If you already know what type of window you want to install, we provide standard as well as customized windows from which to choose. You can feel free to speak with one of our knowledgeable experts to narrow down the options, in terms of size, color, style and wood. The result is a window or set of windows that will set your building apart from others. For more information on the windows that we carry or to get assistance in making your selection, please contact Kirsch Millwork today.